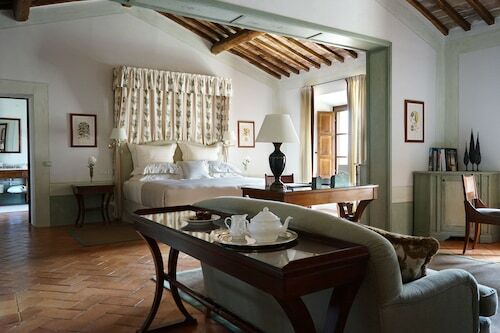 Situated in the historical district, this luxury hotel is in the same region as Siena Cathedral, Piazza del Campo, and Fonte Gaia. 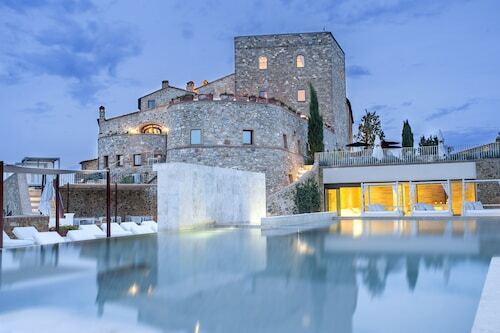 Regional attractions also include San Martino and Fortezza Medicea. 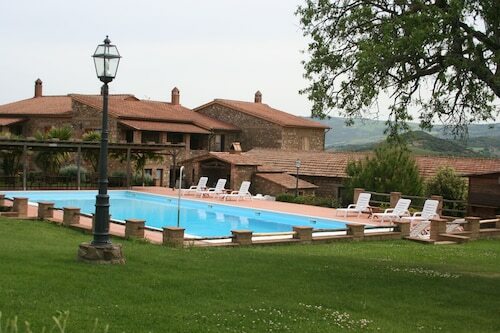 Set in Monteroni d'Arbia, this family-friendly farm stay is within 9 mi (15 km) of Val di Merse, University of Siena, and Museo della Mezzadria. 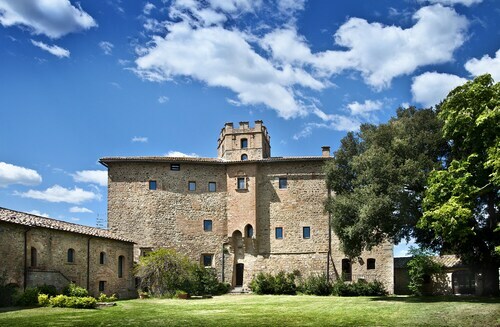 Museum of Sacred Art in Val d’Arbia and Siena State Archives are also within 9 mi (15 km). Monteroni D'Arbia Station is 12 minutes by foot. 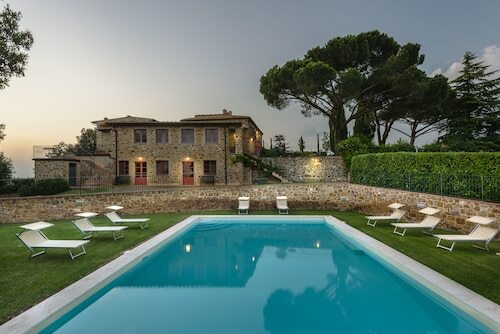 Situated in Trequanda, this luxury farm stay is 0.1 mi (0.1 km) from Val di Chiana and within 6 mi (10 km) of Palazzo Piccolomini and Piazza Pio II. 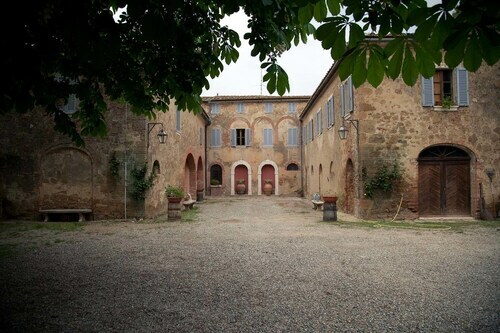 Pienza Cathedral and Palazzo Vescovile are also within 6 mi (10 km). Looking for your own little slice of heaven during your next trip? 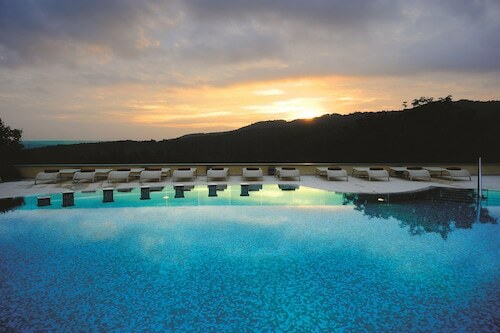 Check out all the best 5 star hotels in Castelnuovo dell'Abate to make sure your trip is as extravagantly comfortable as you expect. Whether you plan on staying in your room the whole time or getting out and enjoying the city, you’ll be living the life while staying at your luxury accommodation. With so many amenities at your beck and call, you might try to turn your stay into a staycation! Many of the five star hotels have award-winning restaurants you can dine at, as well as plush bedding and a concierge service to take care of your every need. Most also offer pools and modern fitness centers, not to mention high-speed Wi-Fi. For your next trip, book a hotel that can be your own little hideaway, whether you’re in town for business or leisure. Castelnuovo dell'Abate 5 star hotels provide you with all the comforts and amenities you expect from a sophisticated hotel, with a staff that’s happy to ensure you have everything you need to feel at home. 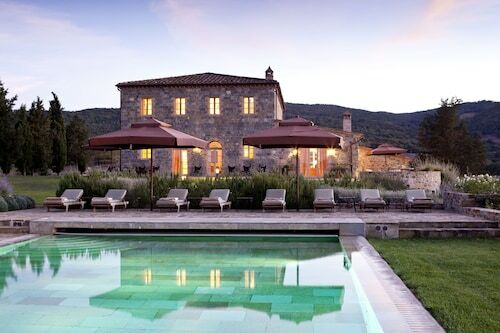 Whether you’re a first-time guest, or you’ve stayed in 5 star hotels in Castelnuovo dell'Abate before, you’ll have no shortage of options to choose from on your next trip when you book with Travelocity. Browse our vast selection and find great deals on luxury lodging.